I'm sure there's a name for those type of clouds, but I admit I'm too lazy to try to look it up tonight. 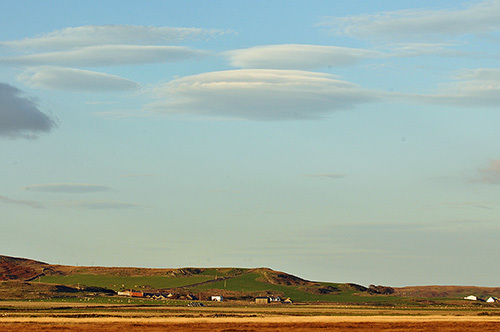 But as they look a bit like flying saucers I've decided to just call them UFO clouds. Good enough for me. That's all I've got for tonight. Have a great weekend!